There are different ways of determining the grade of dimension lumber. 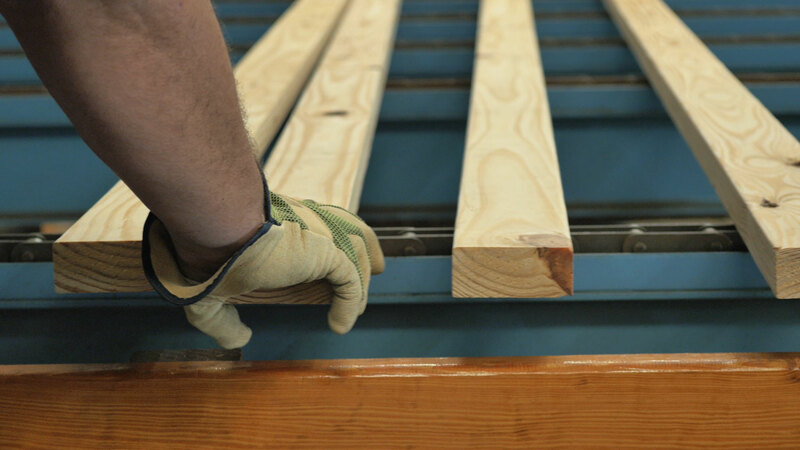 Historically, “visual” grading is performed where a person looks at all four sides of a piece of lumber and evaluates the characteristics present to determine which of several visual grades the piece belongs. This grader works on a grading chain and quickly evaluates each piece of lumber. In fact, for common grades of dimension lumber (2”-4” thick, 2”-12”+ wide), there is a National Grading Rule which applies to all species of structural lumber. This was originally designed so that lumber of the same visual grade would have the same appearance. 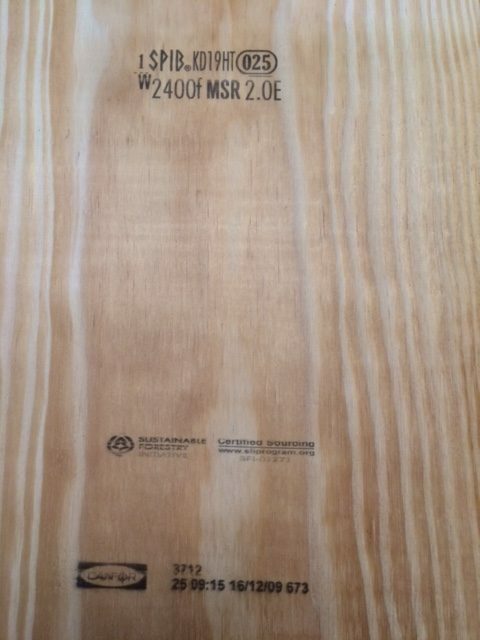 In reality, because species of lumber have different inherent characteristics, a piece of #2 2×4 southern pine will not necessarily have the same appearance as a #2 2×4 hem-fir. Furthermore, because the inherent strength of species varies, a piece of #2 2×4 southern pine does not have the same design values as a #2 2×4 of another species. This results in a system where each species, size, and grade of dimension lumber has different design values. As technology has advanced, some companies have developed “visual grading machines”. That is, with a system of scanners, lasers, and other technology, the visual grading parameters present in a piece of lumber can be evaluated and compared to required characteristics. 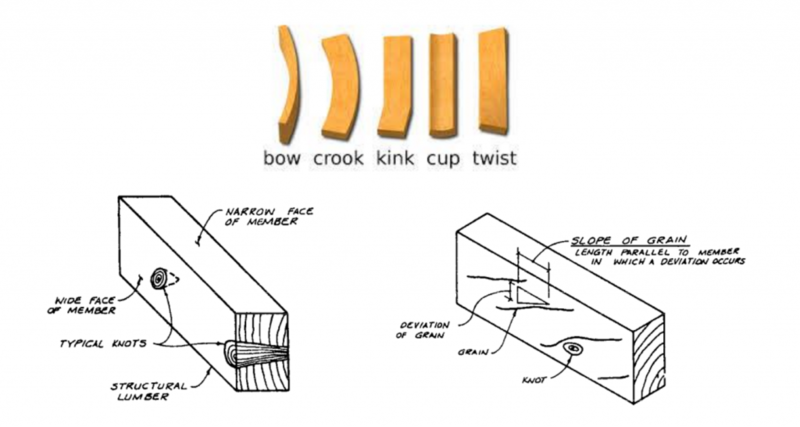 The piece can then be assigned to a visual grade of lumber without a human specifically looking at the piece. The system may or may not attempt to take into account the predicted strength of a board, but is simply applying the very specific visual grading rules. As you can imagine, the two types of grading machines are often combined. One machine may evaluate a property related to strength characteristics, such as stiffness, density, etc. and a second machine may use photos, lasers, or scanners to evaluate the “visual” characteristics. Trained human graders have a long successful history of quickly and accurately evaluating lumber and assigning it to a specific grade. But as production at large mills continues to increase, it gets harder to train and retain accurate human graders. 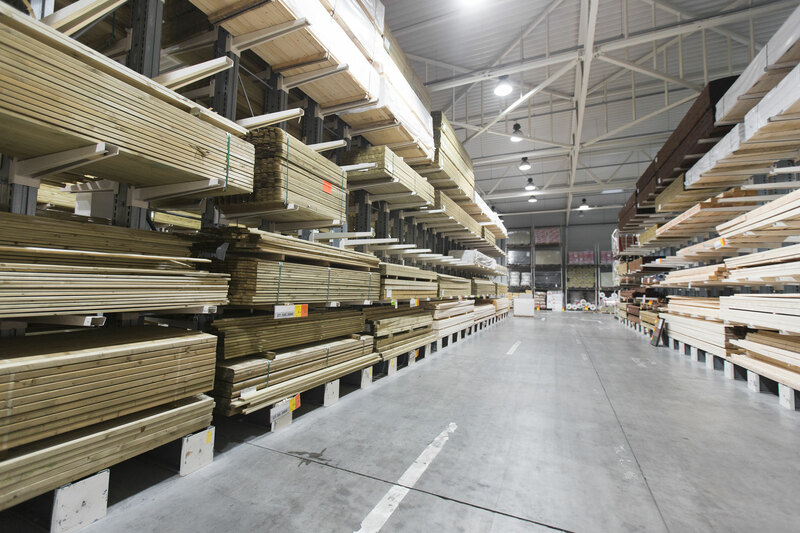 Once properly programmed, machines are able to accurately sort lumber in various grades and are becoming more and more common. ← Shake and Splits, What’s the Difference?